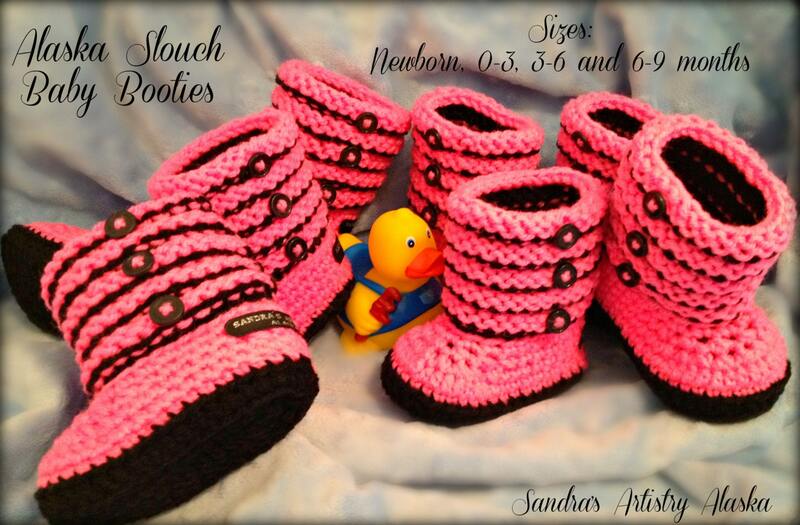 ***FREE SHIPPING & HANDLING (S&H)*** only within the U.S.
Alaskan handmade and signature-designed baby slouch booties. The current height of fashion and provide the most precious photo ops. 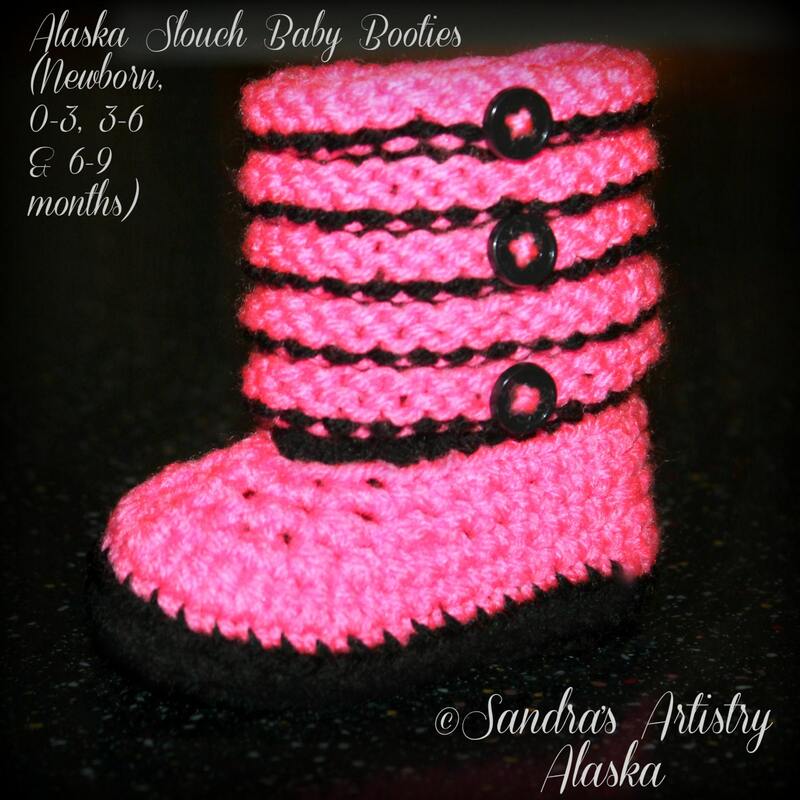 A very stylish method in which to keep your baby warm on those blustery summer days and wintertime while outdoors.